You look crazy if you wear a suit that doesn't blend either with your personal style or your specifications. Instead of buying a baggier suit and then seeking for help of tailors on how to make it fit better, it is always wise to buy a suit that matches your measures. When it comes to buying suits, you need to be keen on two things, one is fit and the other is size. 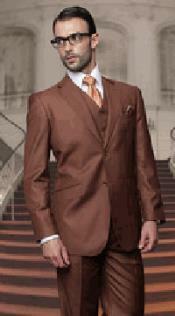 Fit stands for the particular shape of the suit and size refers to the number inside the jacket. 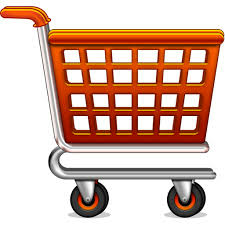 Usually, the size is mentioned with a number and a descriptive word. There are a wealth of sizes in men's suits such as short, regular and long, making the attire suitable for every man, from lean to stout. If you're a handsome guy with a masculine silhouette nothing keeps you dapper than 48r suits, where "48" indicates the chest size and the descriptive for "r" symbolizes the regular jacket length. If you want to end up with an expert fitting suit, before going to store or searching on online, check your own measurements. How to take perfect measurements? The broadest part of your shoulder and upper arms comprise the over arm measurements. Using tape and keeping arms at your sides, measure the over arm area in order to get a suit with sharp fitting shoulders. Bend on one side and place the tape around your waist with comfortable loose, then take measurement, this way you can find the natural crease of your waist. Chest is the area that decides whether you look fabulous or frumpy. Keeping arms at your sides, measure the upper body under your armpits and shoulder blades, covering the full chest part. Make sure you take a deep breath in while taking chest measurements. If you size regular in all measurements, then your preference should be 48r suit that fits perfectly any modern man with a trimmed down silhouette. Taking measurements may help you buy a perfect fit suit but for getting a coordinated look that you're longing for, you need to pay attention for the "drop". The drop is nothing but the difference between the size of the jacket and the pant size. Any suit looks sophisticated, only if it has a 6" drop. While buying 48 r suits, never forget to make sure that the pant measures a size of 42. If you're opting for a regular size, keep in mind that the tie you pair it up must have a broad base and very long length so that the trim fit appearance of 48 r suit gets highlighted. Even if a suit exudes a number of factors that makes it elegant, it surely looks odd on you, if it doesn't fit your measures. 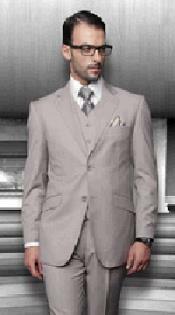 Mensitaly.com knows that size is the factor that makes the attire soulful, so we stock huge men's suit collections on different sizes, this way we make sure that you get anything in our site that you desire.